Those who venture to sell on Amazon do so with many preconceived ideas about what it takes to enter the Amazon marketplace. 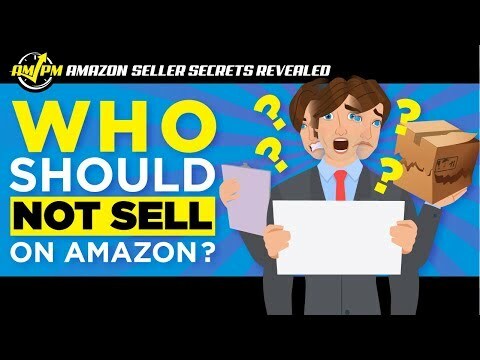 It’s important for anyone who has an interest in the business to recognize their own limits as potential Amazon sellers. There’s so much that goes into the business that involves taking calculated risks, a long-term business plan, and a grounded outlook. 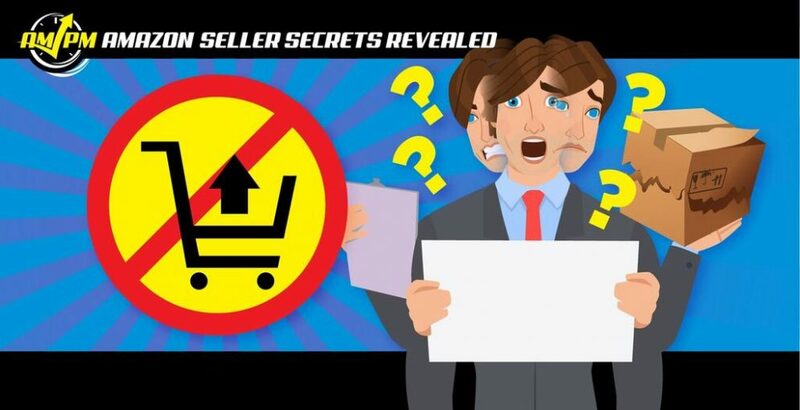 In this episode of Amazon Seller Secrets Revealed by the AMPM Podcast, our guests talk about what it takes to be a contending seller and who shouldn’t sell on Amazon. “My name is Chris Jones from Zonlife Success that’s ‘Zon’ not ‘Zone.’ I’m 26 years old from the UK. I’ve been selling Amazon FBA strictly private label for the last three years now. So the person’s looking for quick results, overnight success, get rich quick scheme. This isn’t for you… like this is not for you. And if you want that cash in your hand straight away, you go and wash a car, go and do door-to-door sales. This is for that someone who’s wanting that longevity of success. Looking for financial freedom. This isn’t even like a game or a hobby… for many people who think of us as just like, ‘Oh, they just sell stuff on Amazon.’ This is an actual business. You form an LLC, a limited company. This is like real. “This is Seth Kniep – ‘kneiping’ it real. I started with a single dime and I doubled the dime 20 times up to $100,000. Today I work with a team of nine coaches who coach people how to build their businesses on Amazon in 89 different countries around the world. That’s a really good question because people ask this all the time. Someone who does not understand the value of risk and reward. I work with many people and some people I’ve worked with have this romantic idea that they’re going to go out there just going to start selling on Amazon. They’re going to make a ton of money. They’re going to fire their boss. They’re going to say, ‘Yes! We did it!’ And they’re going to travel the world. How am I going to handle these in such a way that’s going to take care of me and build a business? It’s a different mindset. “Hey guys, my name is Danny Carlson. Been selling on Amazon for about two years and I have an Amazon agency Kenji ROI where we help brands succeed on Amazon. He can’t sleep at night with large amounts of uncertainty. Because on Amazon you’re constantly going to be having game-changing… TOS changes coming at you; sneaky black hat tactics; so many competitors trying to get your account suspended. Then there also is a risk of getting suspended on Amazon. New to Selling on Amazon? Freedom Ticket offers the best tips, tricks, and strategies for beginners just starting out! Trying to Find a New Product? Get the most powerful Amazon product research tool in Black Box, available only at Helium 10! Want to Verify Your Product Idea? Use Xray in our Chrome extension to check how lucrative your next product idea is with over a dozen metrics of data! The Ultimate Software Tool Suite for Amazon Sellers! Get more Helium 10 tools that can help you to optimize your listings and increase sales for a low price! Protect Your Amazon Brand with a Trademark! Protecting your brand from hijackers is vital. SellerTradmarks.com provides a streamlined process for obtaining a trademark for your business and shielding your products from fraud! Want to REALLY Show Off Your Products? Get Professional Photography! Presenting your products with professional grade photography has been proven to improve sales on Amazon, so what more incentive do you need? Ready to Get Serious About Your Amazon FBA game? The Illuminati Mastermind offers monthly training for advanced level sellers. Reserve your seat today so you don’t miss out on this helpful webinar! Does Amazon Owe YOU Money? Find Out for FREE! If you have been selling for over a year on Amazon, you may be owed money for lost or damaged inventory and not even know it. Get a FREE report to see how much you’re owed!